Let’s face it. Social networks are in our faces now and most of us are on more than one. We have two choices – ignore it or wade in and swim with the social currents. There are benefits to both and probably more than a million articles have argued for both sides. But if we have to swim with a social network like Facebook, Twitter, or Google+, we might as well arm ourselves with a damn good boat and a few life jackets. The tools to build one are there. The most vital oar to navigate the choppy waters is often the most ignored – friends’ lists. Friends’ lists on Facebook, Twitter, and Google+ are the best way to not only interact with the wider world, but also the best way to cut down on the noise. Lists allow you to organize your friends and followers, and then help you prioritize the ones you want to tune into. There are just so many with whom you can have a meaningful conversation with after all without disproving Dunbar’s Number How Many Friends On Facebook Is Too Much? [Opinion] How Many Friends On Facebook Is Too Much? 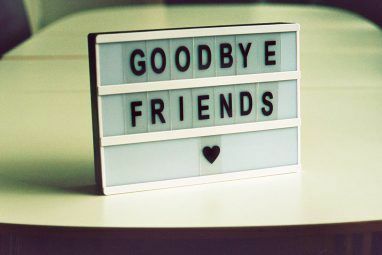 [Opinion] I never thought that we would be so ‘obsessed’ with friends. Collecting friends seems to be a fad that refuses to die down thanks to social networks. When we talk about social networks, we usually... Read More . So, let’s take some time out and re-scan the jumble of friends to create better targeted social networking lists on Twitter, Facebook, and Google+. A list is a curated group of Twitter users. You can create your own lists or subscribe to lists created by others. Viewing a list timeline will show you a stream of Tweets from only the users on that list. Lists are used for reading Tweets only. You cannot send or direct a Tweet to individual members of a list, for only those list members to see. We covered How To Create, Discover and Follow Twitter Lists How To Create, Discover and Follow Twitter Lists How To Create, Discover and Follow Twitter Lists Read More four years back. Admittedly, a few things have changed, especially the interface. But the Twitter How-to page on lists (linked previously) should get you started with creating new lists. But what if you woke up one morning and discovered that you have a disordered mass of followers and the last Twitter list you made was two years ago? Well, some specialized Twitter management tools can help you analyze your Twitter community and help you curate lists with relevant members. The idea with the following apps is to flush irrelevant Twitter followers and bring it all under control. The new Friend or Follow (now in beta) allows you to curate your Twitter, Tumblr, and Instagram accounts. As they say – Get rid of the riff-raff in your social stream and fill it with quality contacts. The basic version is free and allows you to link three accounts. It also displays a little ad at the bottom. You can sort through the list, and unfollow the ones you select. It helps you cleanup your account but there is no way you can create Twitter lists from here. I covered this Twitter relationship manager when we looked at 6 Tools To Help You Gain More Followers & Get Better At Twitter 6 Tools to Help You Gain More Followers and Get Better at Twitter 6 Tools to Help You Gain More Followers and Get Better at Twitter Just for enhancing one’s own personal brand, Twitter is a vehicle with rocket boosters. You will be surprised to know that using just 140 characters effectively takes a lot of skills. Put in the time... Read More . Commun.it plows through your Twitter profile and give you a view on your High Value Members (who are your more engaged members), Followers (e.g. it lists the ones you can un-follow) and Groups (you can monitor your groups). The free account is limited to a single user profile and 30 engaged members. If you are looking for niche users and Twitter lists, Listorious is one of the better ones out there. Listorious is fueled by list curators and you can search for specialized lists by topic, region or profession. You can also tweet to them via Listorious. Tip: Go through The Listorious 140 for some great resources. These three are examples of the kind of Twitter management tools you can find. Though I don’t advocate auto-list tools (like the erstwhile Formulists), do let me know in the comments if you find one. One of the little known facts is that Twitter does not allow for more than 500 people on one list and 20 lists per user. There are a few more restrictions too. Google+ also has its own share of limitations. There is also a 500 comment limit on Google+ posts. So far, Facebook and its Lists do not seem to have any limits. So what are Facebook Lists and what makes them so useful? Facebook Lists started out as a way to manage your privacy Decide Which Facebook Friends See You Online & Which Don't, The Easy Way Decide Which Facebook Friends See You Online & Which Don't, The Easy Way Being completely “invisible” on Facebook Chat isn’t for everyone. Thankfully, it's possible to maintain a veil of privacy while still letting your closest friends and family know that you’re available to talk. Read More by allowing or restricting access to your social circle. But it has evolved into a way to manage information overload on your home page. You can create custom lists based on your interests and view the kind of information you would like to read first thing in the morning. Angela took us through the steps to set up a friend’s list Using Facebook Friends Lists For Interests Or Circles [Facebook Hack Or Tip Of The Week] Using Facebook Friends Lists For Interests Or Circles [Facebook Hack Or Tip Of The Week] Is Facebook driving you crazy? 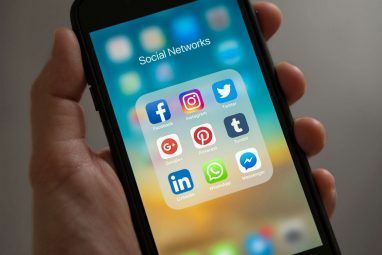 Most people who use Facebook generally view the home feed in its unfiltered form, which means they're seeing updates from friends, acquaintances and pages all lumped in together and shown... Read More and make our home page worth viewing. To recap, here are the quick steps you can follow to create Facebook Lists. Facebook basically gives you three kinds of list as default – Close friends, Acquaintances, and Restricted. There are also automatic Smart Lists and user defined Custom Lists. You can view all your lists by hovering over the Friends section on the left-hand side of your homepage and hitting the More option. Smart Lists are automatically generated. For instance, family or any networks you mention in your profile, such as workplaces or educational institutions, also appear automatically as lists on Facebook. Adding to your smart lists is easy. Open up one of your smart lists. On the right of the page, Facebook suggests whom to add. You can click to add, hit the cross to ignore, or you can enter names into the search box. Once you’ve added people to a Smart List, you can change a few things from the Manage List button on the top right. For instance, you can tweak what kind of notifications you receive from that list. You can also rename the list. Local Lists are a type of smart list that depends on the location you have specified in your profile. It is also an automatic list which includes friends who are within the default radius of 10 miles from your location. You can change the radial distance by clicking the hyperlinked mileage and then using the slider. A Restricted List is as explained below with the help of the screenshot. Head to the same Friends section from the left-hand side of your homepage. Click on More to display all the lists. Hit the Create List button on the top right. Give your new list a name. Then, you can start adding people by typing their name in the search box. You can also create lists of the pages you follow or someone you are following. When done, click Create to save the list. You can add your curated lists to Favorites and bookmark it for frequent access. Facebook Lists help you target information to only the people you want to share it with. You can include and exclude with the help of lists on Facebook. Hop over to Facebook Help if you need to know the basics about their lists. Google turns it around and gives you Circles to arrange your friends and contacts. Circles are like common sets or groups of people whom you bring together. For all purposes they are like lists on Twitter and Facebook, but with some interesting nuances. Creating your first circle on Google+ starts by scrolling down to Find People on the left. It could be under “More”. You can mouse-over on Add (see screenshot) and add a contact to a circle or create a new one. To create a new circle, drag highlighted group of people to the circle that says Drop here to create a circle. To add to an existing circle, drag and drop the highlighted group of people on the circle. Just like the real world, people can belong in multiple circles. This is a “power-feature” that takes it a notch above linear lists. You can re-arrange and prioritize your circle according to the level of interaction you want to do. This is a good idea if you have many circles and find managing them all a drag. And it is surprisingly easy. Drag and drop the circles in the order you want (let’s say, according to degree of interaction) and this order is reflected when updates start flowing via the stream on your home page. One obvious way is to use add people in priority based circles from whom you always want to get updates. In my opinion, Google+ is the only social network so far that allows you to separate streaming and sharing. Priority based circles takes care of filtering the important from the noise as explained above. Using the idea of placing an individual in multiple circles, you can also create circles based on what you want to share and with whom. Both circles can overlap. There’s no problem with that as it enables you to have more control when you tag an update with specific circles. Tina has gone into some of these features when she talks about 7 Must-Know Tips About Managing Your Google+ Circles 7 Must-Know Tips About Managing Your Google+ Circles 7 Must-Know Tips About Managing Your Google+ Circles Google Plus isn't dead. In fact, it's been growing. 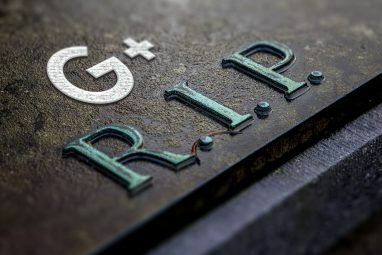 Some people even think Google Plus will prevail big time in 2013 and they have solid arguments. This should make those happy who are already using... Read More . Take time to create your lists on Twitter, Facebook, or Google+. When you consider that we have on an average 130 friends in our online social circles, using lists smartly seems like a good idea. In a way, we are contributing to information overload by not exploiting the power of lists. Don’t go listless. 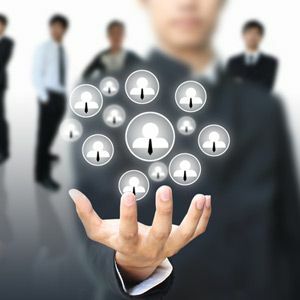 Do the spadework and be rewarded with a more streamlined social experience. What do you think about social networking lists? Are they a chore or do they benefit in the long run? Tell us about a few of your curated lists? I do not mind lists, even if I think social media should be open. What I have problem to handle is circles. It is the same with mind mapping - I got lost in all the circles. But let me do proper lists and I catch it in a second.